This outstanding rural offering, 111 Goolabri Drive, Sutton, sold to a Chinese investment firm looking for a luxury guest house. Photos: Supplied. Although value-for-money entices people to move from Canberra to the surrounding countryside, other aspects of this dynamic market also excite Belle Property Kingston rural sales specialist Ryan Broadhurst. “Every property is vastly different,” Mr Broadhurst says. “It is not just your residential sale where you are selling an 800-square metre block with a four-bedroom home on it, this has a lot of variety,” he says. That variety is matched by the buyer-demographic, from business owners to executive public servants with quite large spending budgets. A Chinese investment company targeting millionaires/billionaires is buying high-end properties for entertaining clientele visiting the national capital. The company has already bought a stunning, five-bedroom Sutton home with panoramic views, polished floorboards and lavish adornments. With a luxury pool and waterfall and a full-sized tennis court, the home became a guest house with a lovely pool, tennis court and entertaining pool house. Wide-open spaces and tranquillity are magnets for people tired of living cheek-by-jowl with city neighbours. Some families have active children for whom a horse, motor bike and leafy paddocks are waiting to lure them away from televisions and computer games indoors. The ABC’s Escape from the City inspires potential buyers (Producers have contacted Mr Broadhurst previously inquiring about the opportunities so close to Canberra). 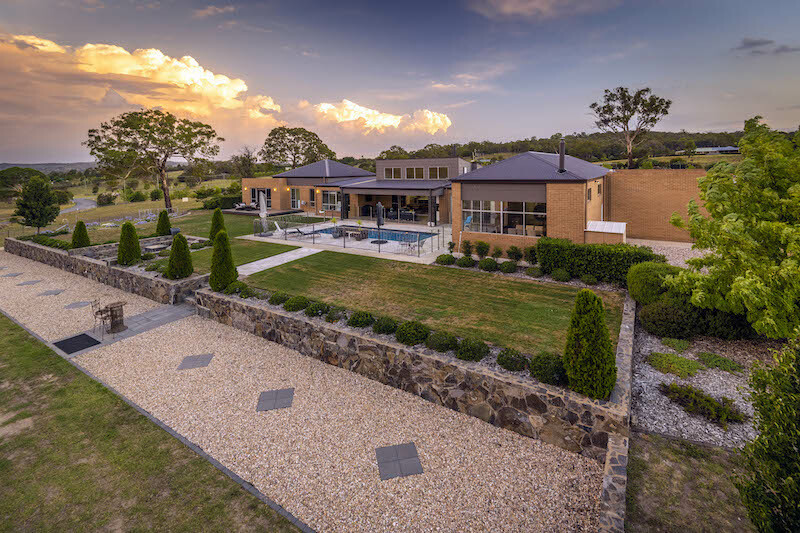 Mr Broadhurst says within a 40 kilometres radius of Canberra the opportunities range from $500,000 for entry-level buyers to $5million for a stunning home on 400 hectares. Ryan Broadhurst sold 13 Rowley Road, Sutton to a local family from Gunghalin looking for more space and room for their three horses. South of Canberra near Bredbo and Michelago, a reasonably-sized home on a 20-hectare block can be purchased for $500,000, a figure comparable to what might secure a small unit in Narrabundah these days. 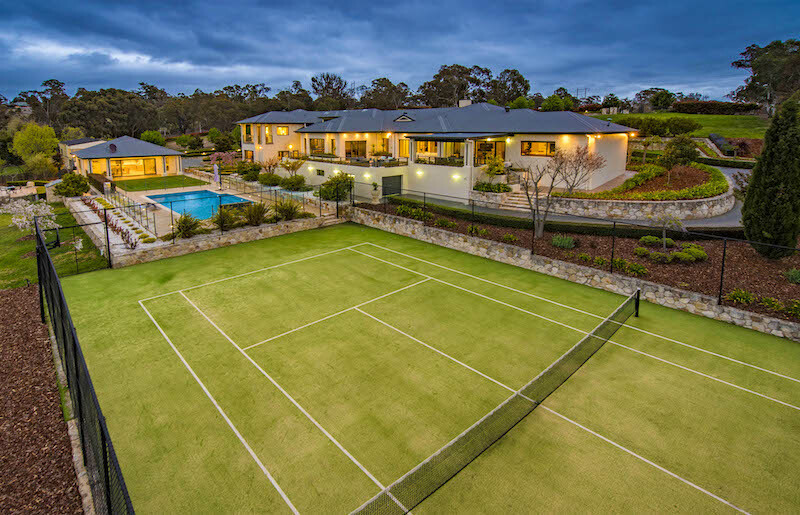 Villages like Tarago and Michelago and districts like Mount Fairy surrounding Canberra, contain homes on big parcels of land offering exceptional value-for-money, and sought-after tree change options people are seeking. Properties range up to $3.5 million for 4.4-hectares for new owners. “They can work from home and enjoy the convenience of a short commute to the city from The Ridgeway out of Queanbeyan, or Sutton, within 20 minutes of the city and 15 minutes to the airport,” Mr Broadhurst says. 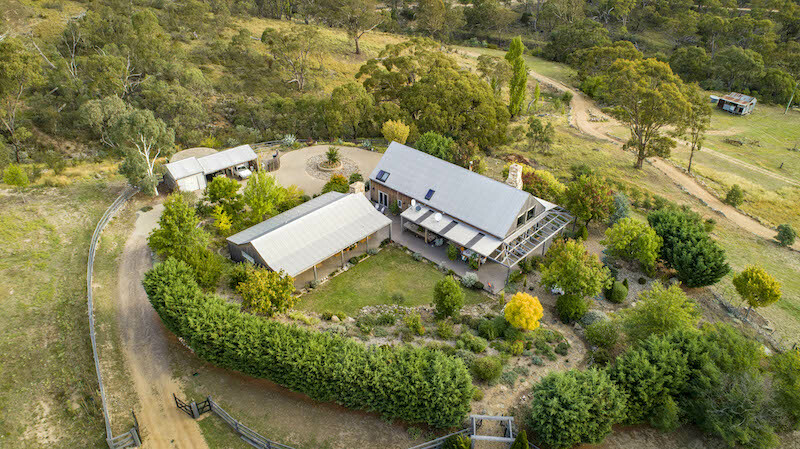 A substantial property at 759 Micalago Road, Michelago on 720ha attracted interest from local, interstate and international buyers looking for a secluded retreat, still within 45 minutes of Canberra and the airport. “People buying vacant blocks and building new homes are looking to go off-grid and be self- sufficient,” he says. New subdivisions are planned or are being extended at the back of Googong, near Burra and at Bungendore. Among those making the change are Gungahlin residents from affluent suburbs like Nicholls and Gold Creek. “One sold to a buyer from Gold Creek with three horses that they can have on site on 3.2 hectares at Sutton with a substantial, 370 square metre-, seven-year-old home, pool, extensive garaging and shedding within 20 minutes of the city,” Mr Broadhurst says. Properties like this give people more than enough room for a caravan, boat and several cars on site. Satellite towns like Bungendore are acquiring supermarkets, making them more attractive for tree-changers. “Otherwise people are getting into routines where they are picking up what they need in town, or going to a supermarket, getting all their supplies and driving out to their homes. Once you are out there enjoying your new lifestyle you work out how the routine works,” Mr Broadhurst says.